Every generation responds to different visual tactics, so what may have worked in the past for Generation X or the Baby Boomers probably won’t suffice when your selling to Millennial shoppers through your e-commerce page. Anyone born between 1981 and 1996 is considered to be the Millennial generation — an era that has grown up with a vast change in technology, including the ever-evolving internet. Although this generation can seem challenging to target, it’s important for an e-commerce business to adapt to the way they think in order to understand the way that they will buy. 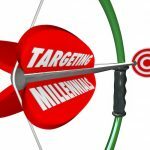 This guide will show you how to transform your e-commerce page in order to retarget Millennial shoppers. How should you set up your page? 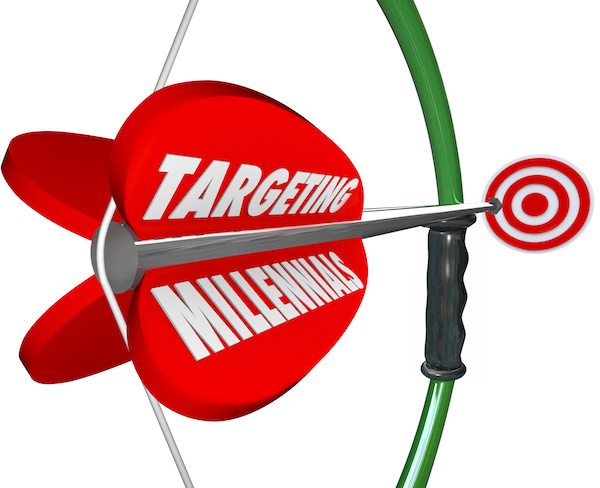 Although we want to help you target Millennials, you don’t want you to do it in a pushy way. A simple pitch across your homepage stating, “You need this product, so buy now”, won’t cut it will this generation. Probably because they have grown up being bombarded with those types of commercial ads and they have learnt to tune them out. Instead of trying to sell them outright, try convincing them why your product or service benefits them. Make sure your site is quick and easy to navigate, as well as avoid placing too many popup ads or subscribe now buttons on your e-commerce page. Many Millennials find this to be annoying when they are trying to examine the contents of your website. Your best avenue for targeting this audience is to reach out to them on their networking apps first — Facebook, Instagram, Twitter and Snapchat. Once they find your page based on their social media interests, they will hopefully be directed to a layout that is enticing and alluring. Design, after all is equally as important as the content displayed for sale. The photos on your page should be nicely edited while the text should be bold and easy to read in order to create a visual pathway across the page. Just like generations before them, Millennials are in tune to new information and they are usually interested in learning what new products are out on the market. However, the period of single income households in almost entirely in the past and Millennials are all quite busy shifting from working to their daily social activities. Try to strike a balance between telling them what you want them to know, but keeping it short and sweet. Boring product descriptions won’t get you very far when you are selling to Millennial shoppers, but neither will extra-long descriptions babbling on about how your product is the best on the market. Simply say one or two elements that will benefit their lifestyles in the copy description and let them choose if they want to seek out further information. Millennials are in touch with their available resources and tend to fact-check and review anything and everything. They will scour the internet researching products and services in order to ensure that they are getting authenticity and that what they are purchasing is indeed consistent and transparent. Simply put, don’t try to dupe them into buying a shady product or overpaying for a service that you’ve offered cheaper to someone else. They will find out about it and they will tell the entire internet. Be honest and upfront by keeping your review section of your page clean and concise. Allow customers to comment on everything, including any dislikes or concerns that they have on your product. This type of credibility is a crucial part in ensuring that Millennial shoppers visit your website again for any future purchases. For any further help in setting up your e-commerce page to appeal to Millennial shoppers, please contact someone from our team. Are there any other successful ways to connect with Millennial shoppers? Tell us in the comments section below.